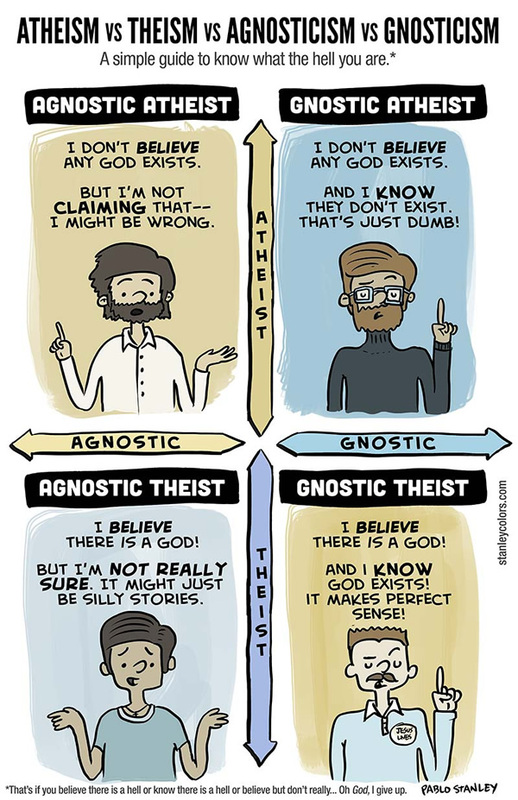 San Diego artist Pablo Stanley has created “Atheism vs. Theism vs. Agnosticism vs. Gnosticism” a comic guide to religious belief (or the lack thereof). Now you can know what the hell you are. That’s, of course, if you believe in hell… or know there is a hell… Or believe in hell, but don’t really know… Oh, God, I give up.